Angela has extensive experience in family law and specialises in divorce, financial settlements and financial remedy proceedings. 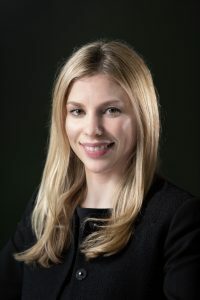 She also advises clients on private child-related matters and assists clients with the preparation and negotiation of cohabitation agreements, pre-nuptial agreements and post-nuptial agreements. Angela’s client base includes mid to high-net worth individuals, professionals, entrepreneurs and their respective spouses. She is empathetic and solution-orientated, using client focused methods to resolve family disputes constructively. Securing a favourable outcome for a wife, whose husband was attempting to conceal assets located abroad, in high-value divorce proceedings. Assisting a banker with substantial wealth, who had previously been divorced and had ongoing maintenance obligations, to negotiate a favourable settlement in his second divorce. Preparing a Pre-Nuptial Agreement for a businesswoman with a substantial property portfolio. Securing a Child Arrangements Order with regular contact for a father, despite the mother initially stating that there should be no contact. Angela trained and qualified into the family department at a Top 100 firm. She then worked for a Legal 500 firm and for another award-winning firm before joining Allard Bailey. Angela is fluent in Spanish and enjoys travelling, as well as theatre, film and property renovation. You can learn more about her on our Balance for Better Blog. Allard Bailey Family Law is a boutique family law practice advising in all areas of family law. Our lawyers are Resolution members and are experienced, realistic and focused on achieving the best results for our clients.